Through a mix of stories and anecdotes, archival installation footage, and interviews with artists and razor-sharp co-directors Barbara Luderowski and Michael Olijnyk, Site-Specific: A History of the Mattress Factory presents an in-depth look at one of the first site-specific museums in the United States. Founded in 1977 in Pittsburgh, PA, the Mattress Factory is a contemporary art museum and experimental lab featuring site-specific installations created by artists in residence from around the world. 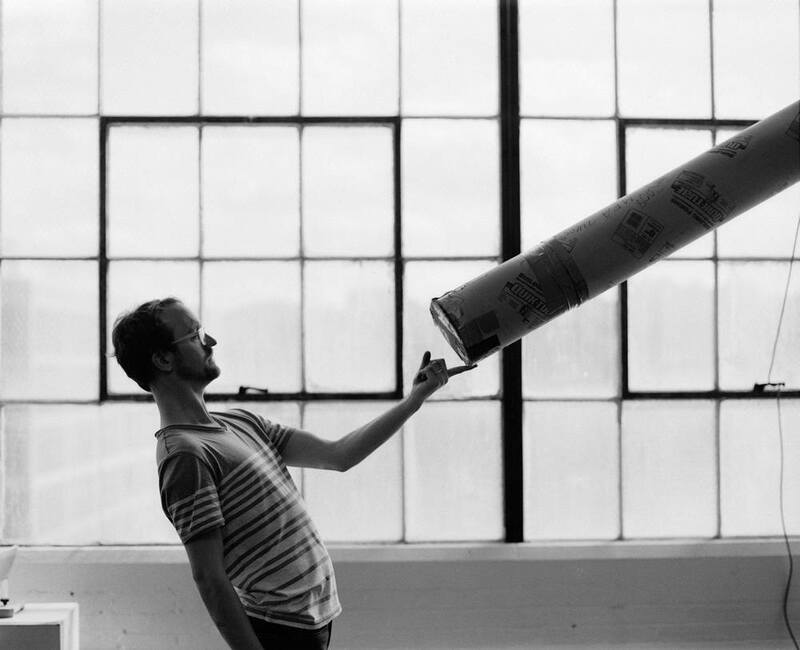 Starting as a quirky, anything goes food co-op and artist studio space, the museum created a program of artist residencies in 1982 to focus on site-specific installation art and they never looked back. The film parallels the installation of the museum’s 40th anniversary exhibition with an in-depth, story-driven journey through the museum’s long history of exhibiting site-specific art. Through interviews with artists such as Ann Hamilton, Sarah Oppenheimer, Vanessa German, Dennis Maher, and others, the film provides an intimate, sometimes humorous, look at the indirect path a museum takes as it creates its identity. By mining the museum’s extensive tape and video archive, the film unearths rare archival installation footage of James Turrell, Yayoi Kusama, Meg Webster, and David Ellis. Detailed discussions provide the history and context for John Cage’s changing installation, Allan Wexler’s Bed Sitting Rooms for an Artist in Residence, and Dennis Maher’s three-story installation “A Second Home”, among other works. Greg Cislon and I have been threatening (via text messages) to re-release all the Vale and Year records. We recorded seven full-lengths and a bunch of EPs between 2003 and 2006, two of which were double records. Until we figure out a cool way to release them, the musicx5 blog put up two of our early records--the double album CD/book/box, Holy Music and Art, and our first improv disc, Field Recordings Vol. 1. Both originally came in handmade packages, with HMAA also arriving in a wooden box with separate artwork and in a book published by Incredibly Thin. Download and listen at musicx5. Despite being literally visible, the conditions surrounding labor in the service industry are often unseen. Eating & Working & Eating & Working is a feature-length documentary film that follows seven people working in food from the being to the end of their work day. Along the way, participants discuss the joys and frustrations of working, the skills utilized in their labor, and the impacts of sexism, racism, and classism on their work environments. Support the production of the film AND get a downloadable copy for $8. See below! Sound Scene Express preview the first single from STEP DOWN TOOMEY, my new solo album. Following in the fashion of 2016's THE INN, this album takes improvised drum recordings and finds me again composing to the drums. This is a short album -- 7 songs -- since I lost interest in this technique, but I'm extremely happy with these songs, which go to further extremes than the tunes on THE INN. Listen to the full album on Bandcamp! Throughout my time at The Glassblock, I amassed a small collection of portraits of artists and performers. Here are a few of my favorites. Pick up our new record here or tonight at 937 Liberty Ave for our release show. "For every jarring moment (like the distorted static buzz in the instrumental of “Form Destroyer,” and the punctuated, discordant ending of “No One Else”), there was a charming or cool one to match it (like the entrancing tribal rhythm and pretty acoustic guitar riff in “Novel,” plus wherever the warbling keys made an appearance.) If you have any particular love for the guitar, you’ll also appreciate how it’s used to its full capacity here. Driving, crunchy, punkish riffs; moody, mournful solos; jamming phrases and patterns that take melodic risks; all with varying levels of distortion and effects. This range is impressive, and crucial for creating the variety of moods Destruction evokes. And the consistent comfort of Bernabo’s distinct, slightly muted vocals are a connecting thread throughout." "Nowhere does Host Skull more clearly deviate from the formulaic than with their percussion. It often dominates the musical landscape: shifting gears drastically within songs; pausing and attacking, repeatedly; each hit lining up exactly with a guitar or bass note. All this energetic, technically impressive activity (most concentrated in the rallying second track, “Animal Head”) is effective at keeping you on your toes. But it’s balanced with subdued, slower tracks, which still have their own standout moments of strangeness. The resigned melancholy of “My Possessions,” the wandering contemplation of “Dan in L.A.”, and the gorgeous, surprising ambient soundscape in the last half of the closer, “Big Tan”—all provide valleys relative to those higher-octane peaks." Those guitars have some real bite on “Host Skull’s Destruction,” an atmospheric indie rock gem filled with angular melodies and intricate playing that brings to mind latter-day Wilco, Spoon, Pavement and Steely Dan.